The Hollow Point® is a replacement guitar part specifically designed to help players, technicians or anyone performing guitar repair to set the intonation on a double locking guitar tremolo accurately and efficiently. 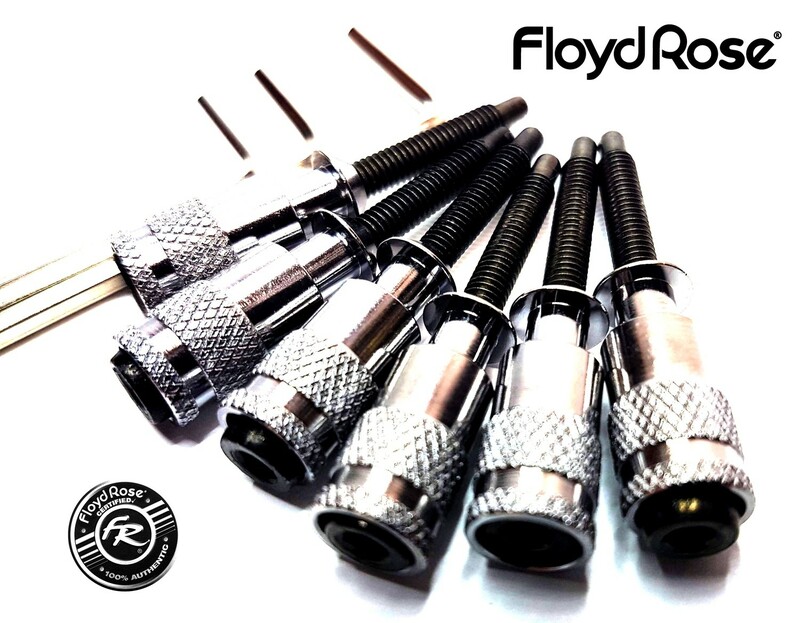 They have been designed to reduce much of the headache that can be associated with repositioning the bridge saddles while tuning and setting the intonation on a guitar. In addition to reducing set-up time, Hollow Points® improve the overall appearance of the bridge, giving it a more stout, meaner look! Once a set of Hollow Points® is installed, our BLITZ Method® of intonation is a systematic approach to setting the intonation more efficiently with greater accuracy and increased tuning stability. Constructed of solid brass, each Hollow Point® is proudly designed in the USA. In addition to increasing the efficiency and ease of set-up, other benefits include improved appearance, increased mass, sustain and tone.